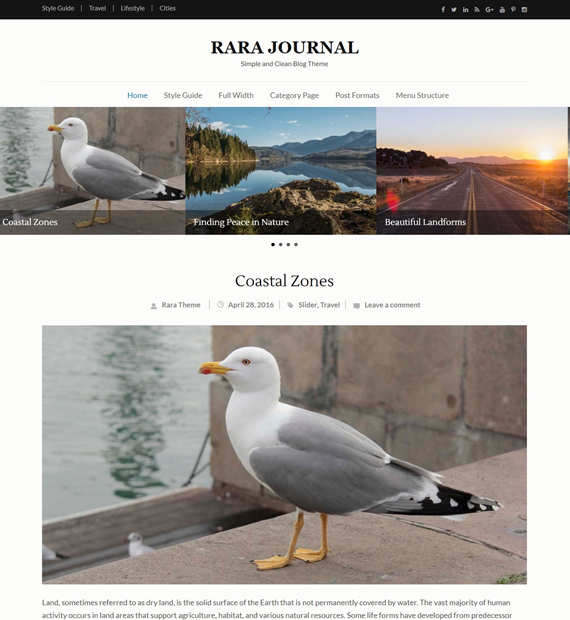 Rara Journal is a beautifully crafted and precisely coded free WordPress theme. It is perfect for a personal, lifestyle, storytelling, food, or travel blogs. It is a responsive theme that looks awesome on all devices from desktop to tablets. It features a full-width slider, beautiful typography, and an option to upload your post in audio, video and picture format. Rara Journal comes with a one-click demo content import feature.